The Best Eyeglass Support Recommended by Top Cosmetic Surgeons. In the weeks after your Rhinoplasty, Septoplasty, Broken Nose, or other Nasal Trauma, doctors advise their patients to avoid wearing their glasses for 4 - 8 weeks. 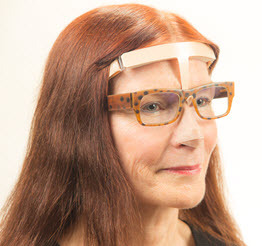 NoseComfort® eliminates skin irritation, pain, and pressure by simplifying placement and removal of eyewear without messy tape, it prevents permanent damage, and improves your comfort during recovery. 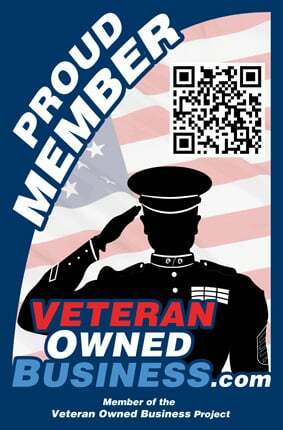 Spalding Drive Medical Supply is a "Veteran Owned and Operated Business" and we're proud to use only American made materials on American made machines. We take pride in our products and strive to provide the best and safest solutions on the market. "Spalding Drive Medical Supply, LLC, is focused and dedicated to providing the most comfortable and longest lasting eyeglass support appliance on the market and doing so at the most reasonable price possible." NoseComfort is a doctor-recommended nose support appliance that keeps eyeglasses off the nose after nasal surgery or trauma. Made with hypoallergenic and medical-grade materials, this adjustable device wraps comfortably around the head for a secure fit. Its patented hook-support design keeps your eyewear off your nose, so you can wear prescription glasses, reading glasses, sunglasses, and even optical loupes without worry. NoseComfort ensures a safe, comfortable, and effective recovery while your nose sets. This nose support system can be worn with a hat or under any other head covering without compromising its ability to keep your glasses in place. This device is ideal to wear after rhinoplasty, septoplasty, or any other nasal surgery. Following nasal surgery, patients should avoid any slight pressure on the nasal bone which could cause a distortion, or indentation, resulting in needing an additional surgery. Surgeons recommend patients not wear eyeglasses or other optical wear, for up to six weeks following surgery. 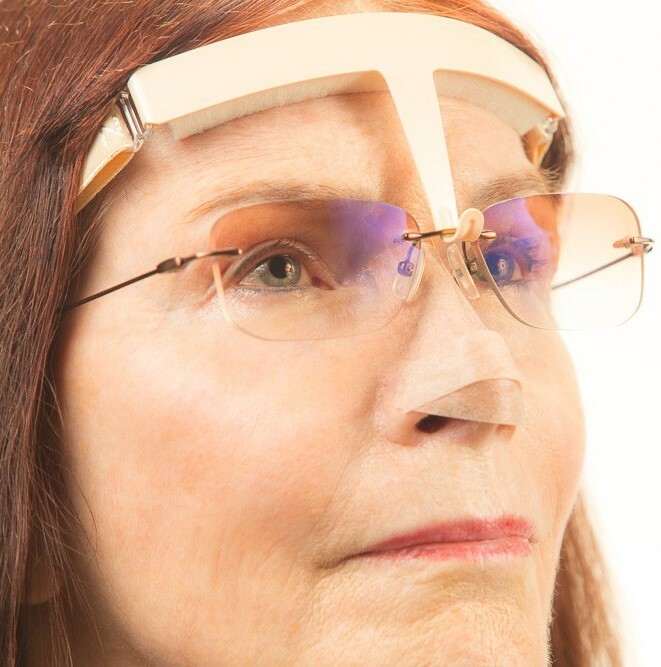 NoseComfort® will allow patients to wear their eye wear immediately after surgery. Many patients have oily complexions preventing adhesive tape from adhering to their forehead. NoseComfort® will comfortably hold eyeglasses, reading glasses, and sunglasses in place so they may be worn for long periods of time. 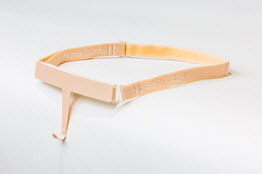 NoseComfort® will effectively hold all types of eyewear regardless of the weight. The patented hook-support design will hold all types of glasses properly in place while maintaining the effectiveness of the prescription. I have Lupus and NoseComfort lets me wear my glasses when my skin flares up, its so lightweight I usually forget I'm wearing it. Thank you for your amazing product!" 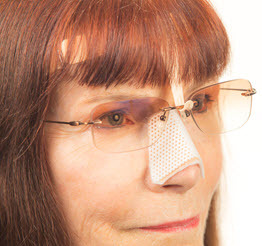 NoseComfort has allowed me to wear my eyeglasses following my Rhinoplasty." With NoseComfort, glasses don't touch my nose! After surgery, Dr. says tape glasses to forehead! HA.. get these!"